Composting is the process of turning organic waste, like vegetable scraps, into nutrient-rich soil for your garden. 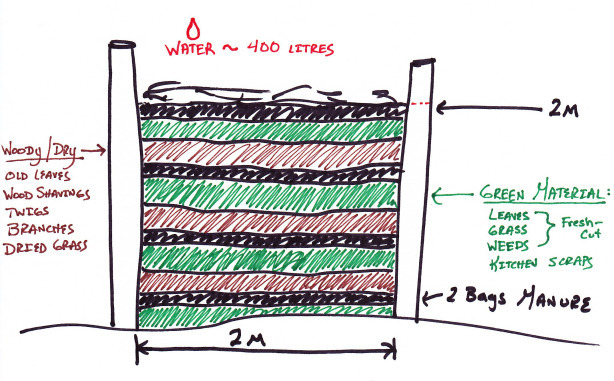 It involves layering “green” matter with “brown” matter, in a ratio of two parts brown to one part green. Most apartment dwellers don’t have the land for a traditional compost pile, but not to worry; there are all kinds of options. For example, there are compost tumblers that allow you to rotate your compost in a self-contained rotating barrel, or worm bins, which you can keep indoors. Worm bins are a great composting solution when you don’t have any outdoor space. This is a composting system where the worms do all the work. They eat leftover organic matter from your kitchen, along with the bacteria and fungi that form to break them down. They need bedding to lay their eggs and so as they work through it, you will need to replace it. There are many worm bin options that can be purchased online or you can make your own from scrap wood using the myriad directions available on the Internet. It is simply a lidded box with holes drilled into the side. The smaller versions can often be stored under the sink and any liquid that forms can be diluted and made into worm tea for your plants in addition to the soil. As for the type of worms, you can’t use anything that you dig up in the dirt. You need worms that are composters, usually red, and wiggly. You can often get them from fish tackle shops or online. Before you place an order, gather a week’s worth of scraps in a bucket and weigh your waste. Then buy twice as many worms in weight as scraps you produce. To make their bedding, fill three quarters of the box with well-torn black-and-white newspaper or a combination of newspaper, wood chips, and cardboard. To that add a few cups of soil and mix it. A few hours after you add the worms to their bed you can add your organic waste. The best working conditions for worms is at a temperature of 60–80°F. Much lower and they stop working. In the warmer months, you should get dark rich soil every 2 to 3 months. To harvest the soil, move the good compost to one side and add fresh bedding to the other side. Bury your waste in the new bedding and after about a week the worms will have moved over to their new bedding so you can harvest the rich soil. 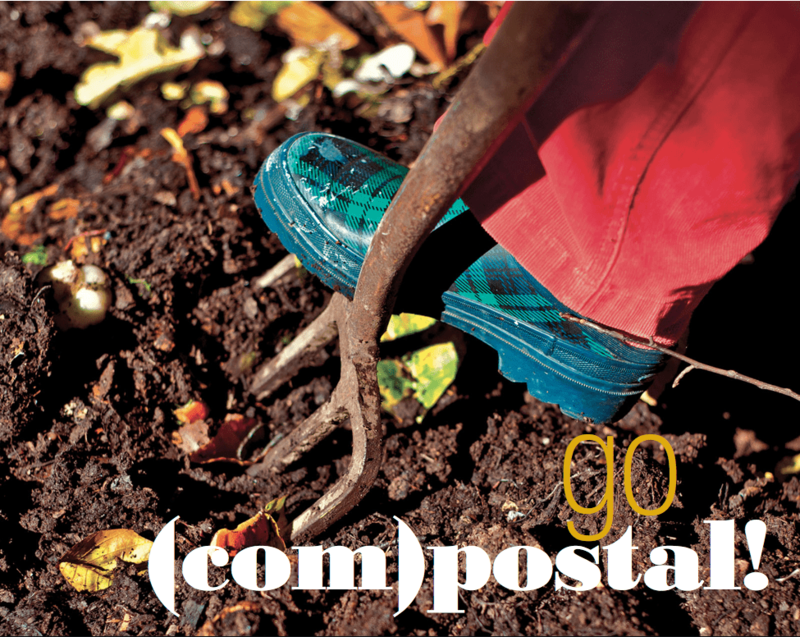 You can repeat this process every time the compost is ready to harvest. There are many container options: bottomless stacked wooden boxes like beehive frames work perfectly, bins or garbage cans with holes punched into the bottom and wire netting on the top, an open pile, or a trench right in the garden. Build your compost pile like a layered dip, starting at the bottom with straw and twigs for aeration, next layering organic material like vegetable scraps, egg shells, and weeds, and then with manure to add the nitrogen needed to create the breakdown process. Top it off with a layer of topsoil or old compost. Repeat this layering process until the pile is 4 feet high, the ideal height for the breakdown to occur. Water your compost pile and check it often to make sure it is moist but not soggy. If the weather is particularly dry, hose it down once in a while. It should feel like a wrung out sponge. The pile should be turned several times a year to help aeration, even every six weeks if you can manage it. The more often you do this, the faster it will break down. Transfer the top matter to the bottom of another container so that the bottom matter ends up at the top of the new container. The larger the pile, the faster it will heat up and thus break down more quickly. The pile should heat to 150°F, the temperature at which point microbial organisms begin to die off. The compost is ready when the pile no longer smells or gives off heat and the soil has turned brown and crumbly. Lastly, be kind to your neighbors, and think about where you are positioning this bin of decomposing organic matter! Tip: Don’t put perennial weeds or weeds that have gone to seed directly into the compost pile if you can avoid it. Tip: Good sources for composting material include coffee shops and restaurants, which will often share their coffee grounds and vegetable debris with you if you arrange it with them in advance. Tip: Keep a small bucket or large recycled coffee can on your countertop or under the sink. Add your peels and scraps to it as the week goes on and then transfer it all to your compost pile at once. 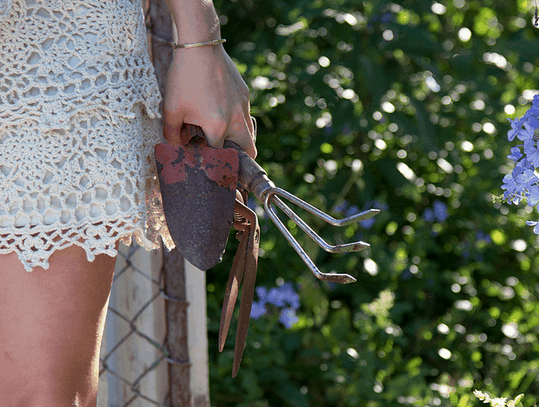 This will prevent you from having to make constant trips to the compost pile when you are busy cooking. There you have it! Now go out there and get some dirt under your fingernails.